Apple has always been known to spark evolutions in the app development field; and this time, it is bringing a boon with Health Records API for developers. iOS 12 has brought a revolution to the mobile app world and healthcare. It carries an exciting new feature allowing access to health records with HealthKit. Before this, in iOS 11.3, they offered the feature to access Health Records and Health. With the Health Records API in iOS, the app users can connect to their corresponding healthcare institutes and download their health records to preserve them and to access them quickly. These features in iOS, bring up more space for the developers dealing with healthcare app development. 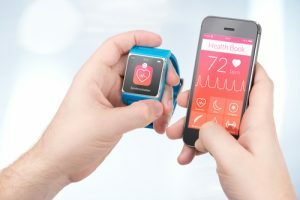 Developers can create different healthcare apps concerning varied requirements of consumers such as medication tracking, diseases management, nutrition planning and much more which we will discuss in detail here in this article. Here are the top reasons app developers love Apple Health Records API. For this feature, Apple has brought an approach with app development towards collecting medical information from more than 500 hospitals and clinics. It compiles the complete data and is available to users with the Medisafe application where they can safely download a medication prescription without manually entering patient details. The app allows users to enable pill reminders and to receive the relevant medical information from time to time. This app is also capable of warning patients about the incorrect intake of pills as it has got a complete insight into the medical details from several hospitals. iOS brings the revolutionary change in healthcare app development allowing developers with several kinds of method calls. Apple introduced new Sample types under HealthKit which enables the app developers to integrate various aspects of health management. By using the Sample Type – HKClinicalType during the app development, developers can integrate the feature of accessing and managing the health records. If the consumer is diagnosed of any disease, they can keep track of that disease in the application itself. 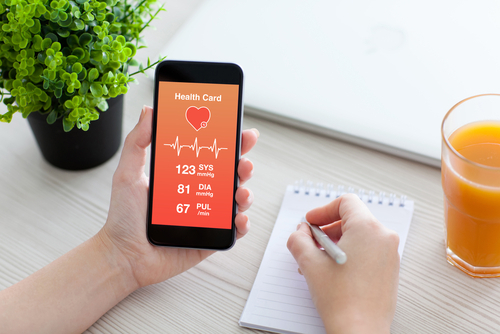 Healthcare app development is getting more simplified for developers, and now they can create a disease management app such as a Heart disease app or a diabetes app. These types of apps can help patients quickly access health records such as lab results and prescriptions. The different sample types under HealthKit Integration lets the users to frequently check the overall picture of their health at the present state and helps them maintaining in the scale. Healthcare does not stop at the hospital doorsteps, and so should not the healthcare app development do. What we eat impacts our health, and thus, we should be managing that efficiently. With this need of our daily nutrition management, the developers need to innovate with the app development to provide the users with a better functioning nutrition management app. This kind of app can also help the user to manage their eating schedules, what type of nutrition should they consume, what proportion of each element shall they maintain, maintain the nutrition intake accordingly to control the blood pressure, sugar level, and other vital aspects. Along with this, they can work on their exercise schedules to maintain the appropriate body weight. Developers can also build up tailored applications assisting users to manage based on their blood pressure or cholesterol reports such as advising them to reduce the salt intake or increase fiber proportions in meals. It has always been an additional task to ask the patients to fill up their complete medical history. 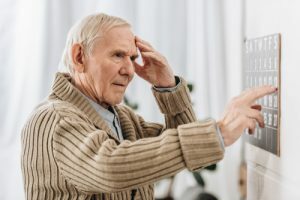 It is highly possible that they don’t remember everything and miss out on something very critical related to their present health condition; and, this thing occurs quite frequently. Well, such scenarios, create much hassle for doctors and physicians while checking the patient’s past health conditions. 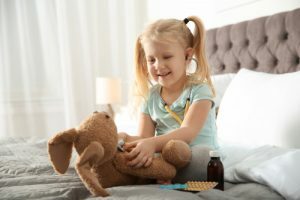 However, iOS’ Health Records API enables developers to integrate the necessary ResearchKit identifier or the call type during app development, which can help doctors check the complete medical history of their patients. The newly introduced identifiers by iOS also bring comfort for the patients as they do not have to strain their brains to remember all the painful medical history and yet help the doctors get proper examination every time they visit. 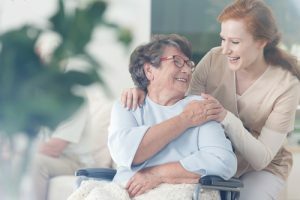 Now, patients only have to share their approval with the medical researchers to access the specific detail from their medical history for the complete and proper examination. Apple stays afoot with providing the promised security to the users by encrypting the patient data. They assure that the patient data directly flows from the users HealthKit to the requested third-party app and nothing is acquired on the Apple’s servers. Also, the app integration allows you to read the FHIR from the HealthKit Store. For the developers, you can use various query types to add to the app development to allow the user to access the relevant clinical records. For the developers dealing in healthcare app development, iOS gifts a bunch of suitable identifiers to fasten the app development process. Developers are always happy if they get a way out to shorten their code or the one to make it the most effective one for the users. Apple has brought many identifiers to support developers in healthcare app development which is bringing revolution in the healthcare industry as well. 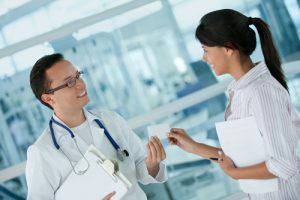 With lots of expedient identifiers and access to the Fast Healthcare Interoperability Resources report, developers have become more equipped with the skills to develop apps providing minute details as well. FHIR supports documentation in a more discrete way. It splits the complete medical history into smaller identifiable parts. Developers with the users’ permission, can read the relevant medical data and then use the HealthKit queries to look into the individual reports. The integrated HealthKit represents the relevant FHIR record as the HKClinicalRecord sample to store a single condition or a result. After getting the permission and accessing the individual reports, developers need to analyze and handle the related FHIR JSON data. Apple’s Xcode simulator gives you sample accounts to use when you are building and testing your app. Apple has been spreading excellence for years and improving people’s lives. People are getting more apprehensive about their health with the inventive approach of healthcare applications. Developers get an equal chance to show their expertise and enhance the standards and ways of living of the individuals around them. With this thought in minds, Apple is supporting the developers with the identifiers in its new Health Records API which is making developers fall in love with it.